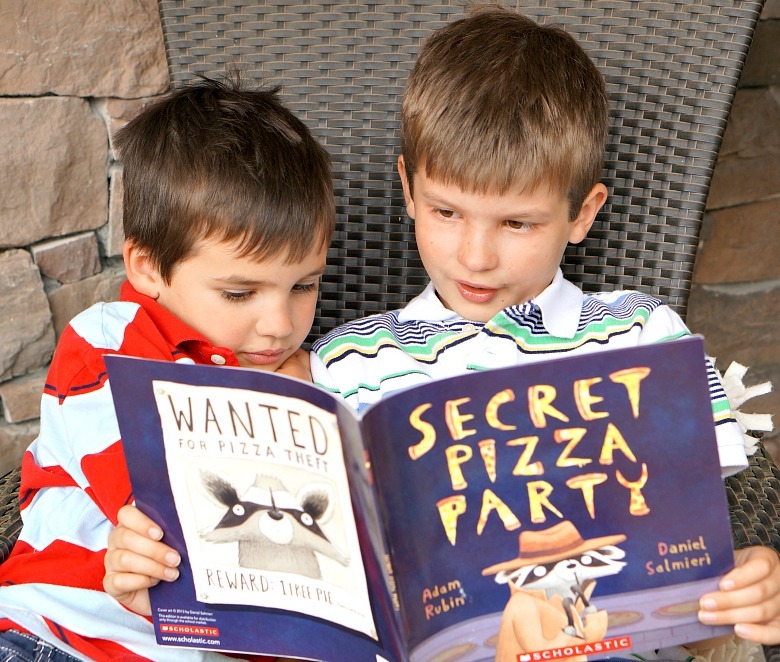 We’re in love with Adam Rubin’s children’s book, “Secret Pizza Party“. 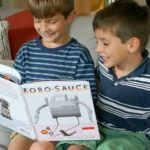 Just about as much as we love pizza. 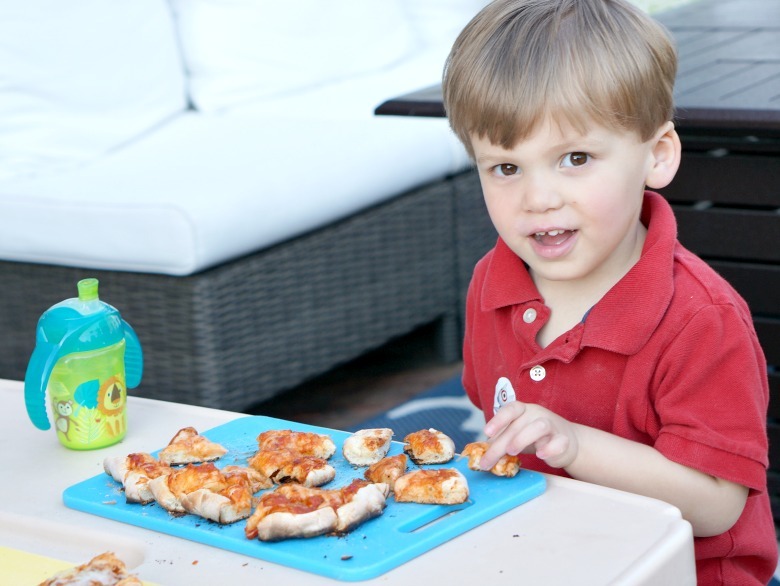 Celebrate both by creating your own family night with this grilled pizza recipe and party idea! 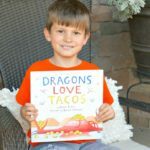 One book I can count on all of my kids enjoying? Secret Pizza Party. And the one dinner I can ensure everyone will love? Pizza. Coincidence? I think not. So beautiful you could hang it on a museum wall. That’s one museum I’d hit up every day! 🙂 Since I’ve yet to find a local pizza museum, I decided to host my own pizza party for the family. I wish I could have kept it a secret, because we all know secret parties are the best. But with three little guys, you can imagine how well secrets are kept in this house. 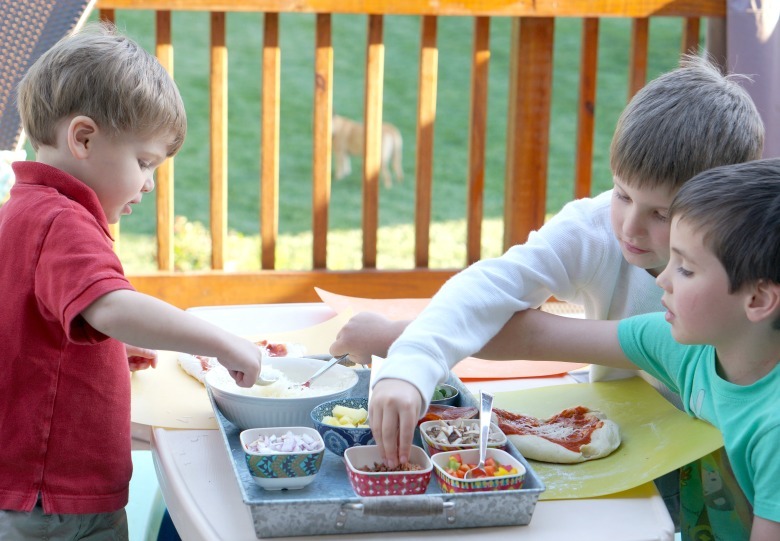 I thought I’d make our pizza party super special by letting each kid make their own mini-pizzas and cook them on the grill. Something about bread on the grill and that melty-gooey cheese. Soooo good. Homemade pizza doesn’t have to be taxing. Especially if you make good use of the deli bar at your local grocery. 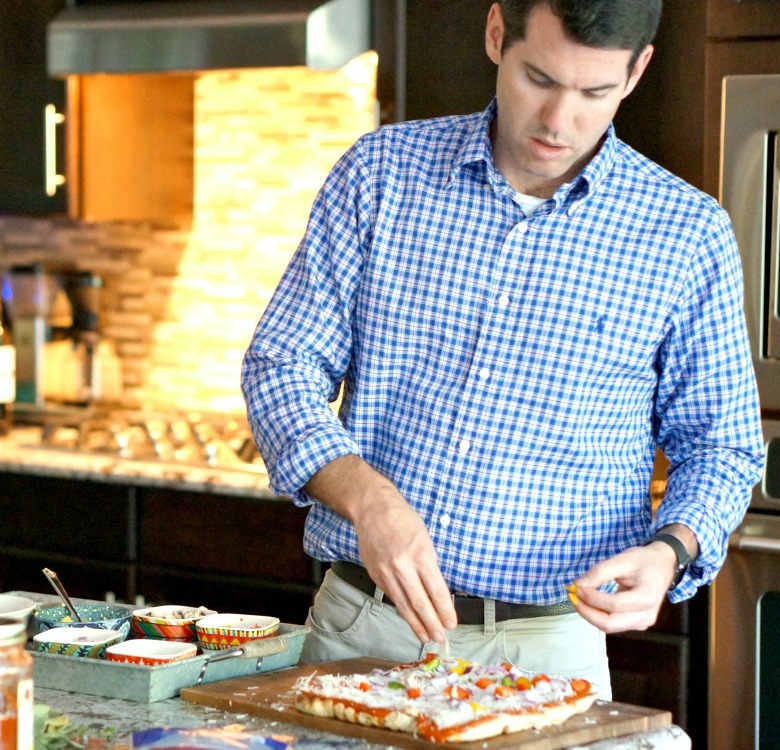 I grabbed our favorite pizza toppings from the salad bar and a few balls of dough as well. 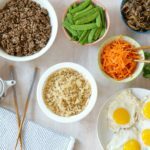 Made the prep for this dinner a breeze! After the pizza dough is rolled out, I cooked it on the grill. Just until it starts to bubble slightly and has just a few light grill marks. 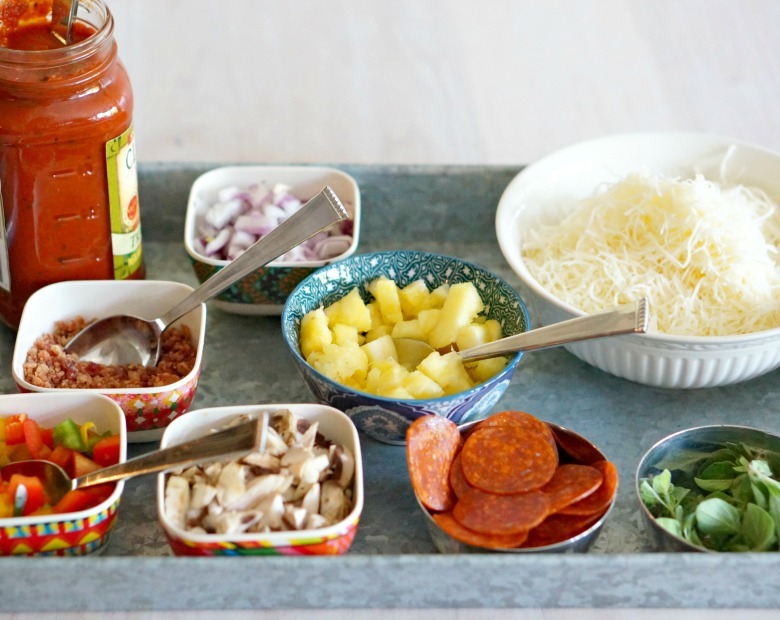 Transfer the dough to a cutting board and start putting on your toppings. First dollop out tomato sauce on the cooked side of the dough. Then let the kids make their own creations. 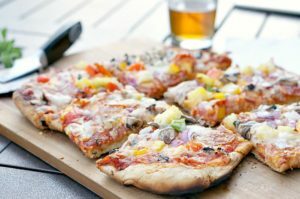 The rule on my house: you can put whatever you want on the pizza, but you have to pick at least one veggie! Even Jonnie got in on the action and made an adult pizza. You know, with ALL of the veggies. 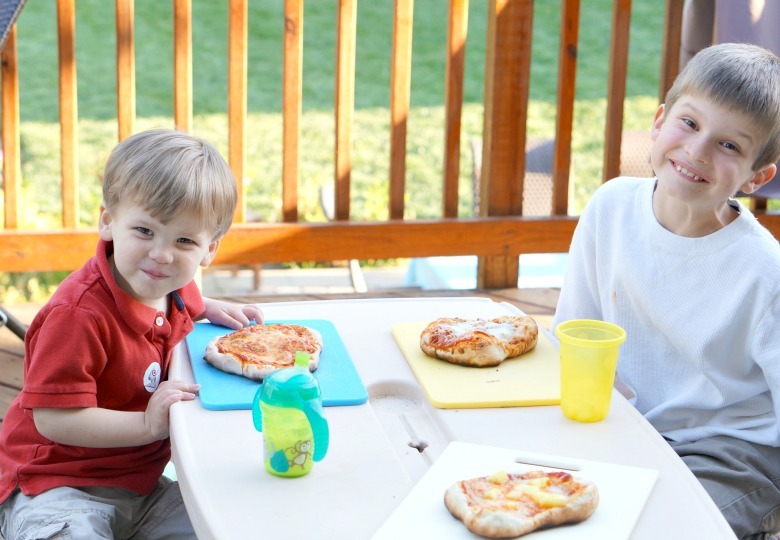 Once satisfied with their pizzas, I placed them back on the grill on a low setting. 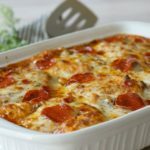 Cook until the cheese is melted and the pizza is crispy and the dough is cooked through. 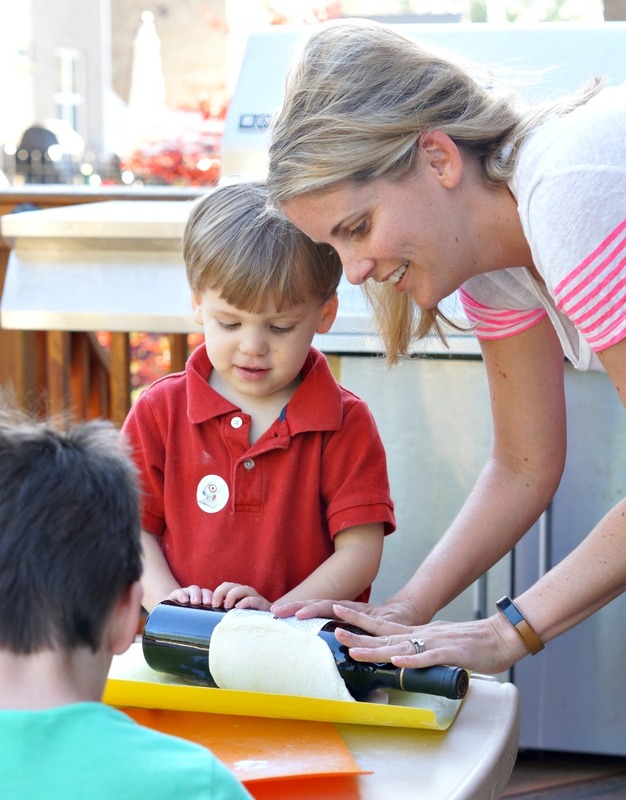 Allow to cool slightly before serving to the kids. 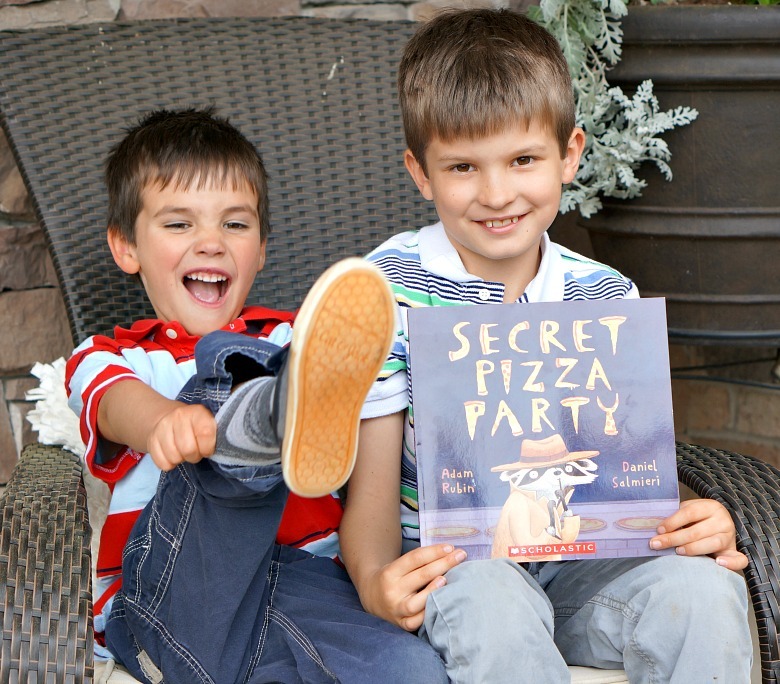 We're in love with Adam Rubin's children's book, "Secret Pizza Party". Just about as much as we love pizza. 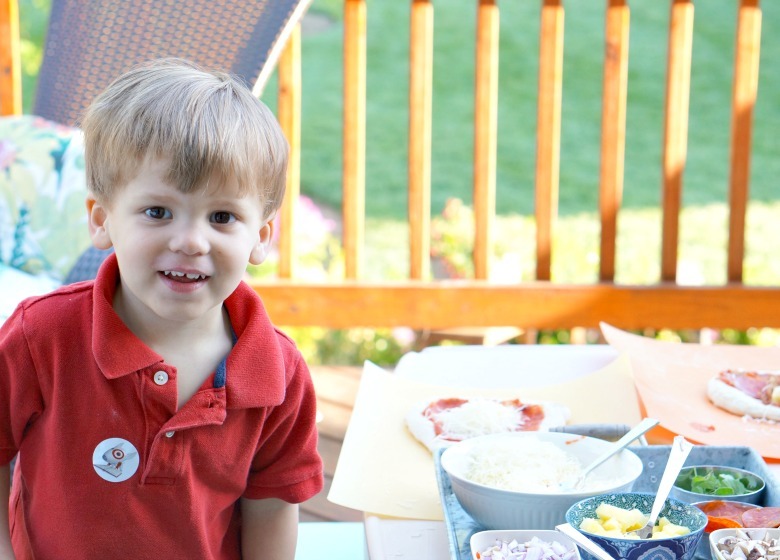 Celebrate both by creating your own family night with this grilled pizza recipe and party! Preheat grill on a medium setting. 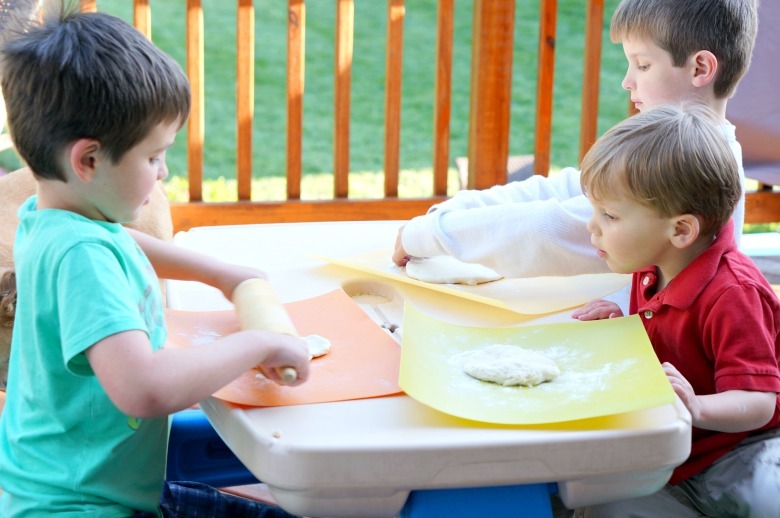 Bring dough to room temperature and divide into four equal balls. Roll out each section to desired thickness. Place on the grill and cook until the bottom of the dough is slightly cooked (it'll still be raw on top) and there are light char marks. It may bubble up... don't worry, just poke the bubbles back down. 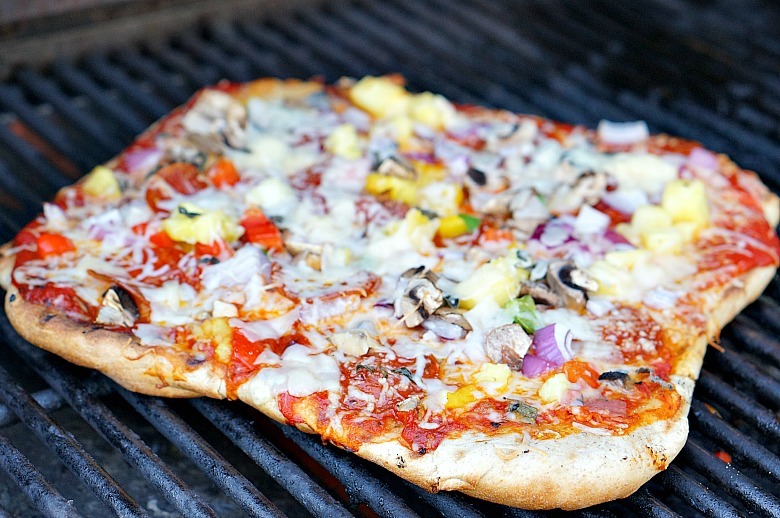 Remove dough from the grill and add your toppings to the side that was touching the grill. Once loaded up, return to the grill and cook until cheese is melted and crust is crispy and cooked through.